Produktinformationen "Autograph Football 3 Panel White"
Der perfekte Ball als Dankeschön für Bestimmte Anlässe.3 Flächen weiß z.B. zum Unterschreiben. Ball zum Display / Aufstellen geeignet. Commemorate a successful season with your team with this Autograph Football. 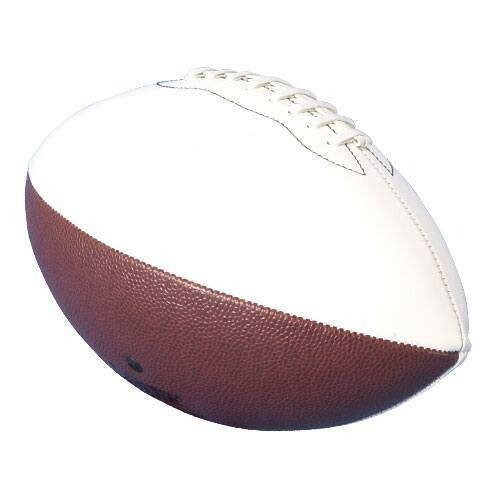 Make sure every player and coach signs the white side of this football, so the whole team can have it as a keepsake to make the memories last. Rest assured that the memory of the season's triumph will live on thanks to the durable PVC cover and butyl bladder that will keep the football looking like new for years to come. This football adds a special touch to any trophy case thanks to the laced design that affords a professional look. Synthetic Leather (PVC) Cover. For display purposes ONLY. Butyl bladder. Weiterführende Links zu "Autograph Football 3 Panel White"
Kundenbewertungen für "Autograph Football 3 Panel White"